» Prepaid Fill-the-Box ScanMyPhotos.com Scanning Service. Same Day Return. $184 for as many photos as you can fit into our prepaid box mailed to you! About 2,000+ 4x6's scanned (estimated, results vary with packing and size of photos). Includes 1 DVD with your scanned images and FREE shipping and handling. As low as 8 cents per scan. Click here to instantly order. Before ordering, please click here to read the requirements on how to prepare your photos for scanning (PDF). If you are having trouble opening the PDF instructions, please click here. 2. Best Value: The Family Generation Collection - 10,000 photos scanned. Click here for more information. 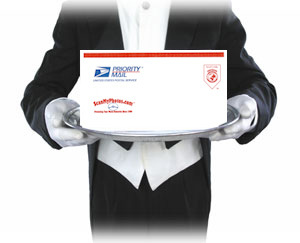 $79.50 for up to 1,000 photos scanned available for mail-order or walk in service. Have as many photos scanned as you want, pay just $79.50 per 1,000 photos. Includes 1 DVD of your scanned images. From Polaroid to 11x14 size photos scanned. Front and back scanning only available with this option. No prorating. Click here to download the order form. International orders must choose this option. Before ordering, please click here to download the requirements on how to prepare your photos for scanning. (PDF) If you are having trouble opening the PDF instructions, please click here.